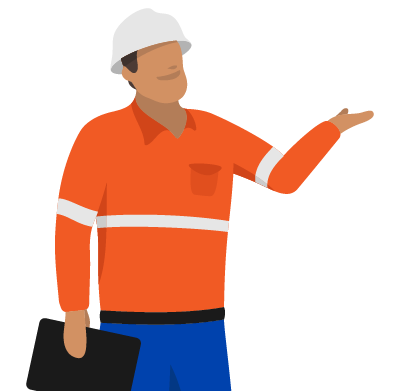 Easily reduce the time and admin required to capture, approve and rectify defects with simple, user-friendly software. Improve internal & external defect workflows and eliminate time-consuming work with the Dashpivot defect management software and app. 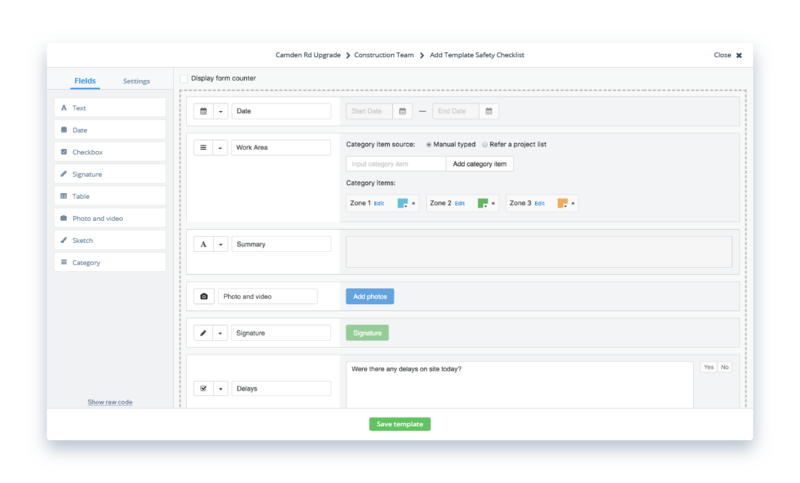 Create your own defect management report with the simple drag-and-drop form builder, or use and edit our free defect report template right away. Make your defect report easy to complete and manage with fields including tables, digital signatures, sketches and checkboxes. Access and complete your defect report from anywhere - at any time. 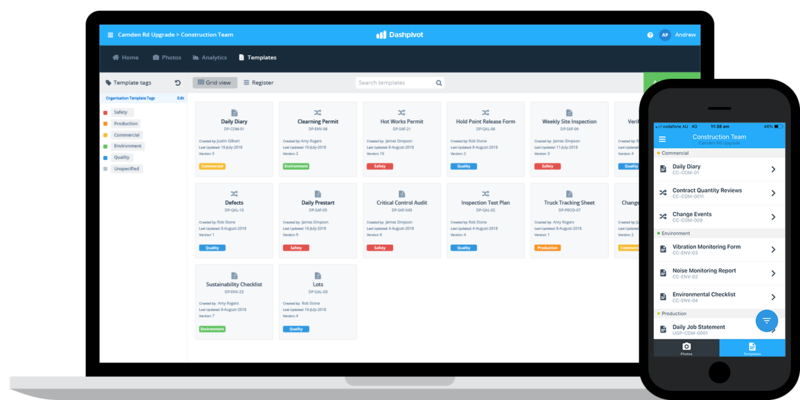 As you fill in your form, your defect reports are instantly pushed to the software in real-time and stored securely in the cloud. 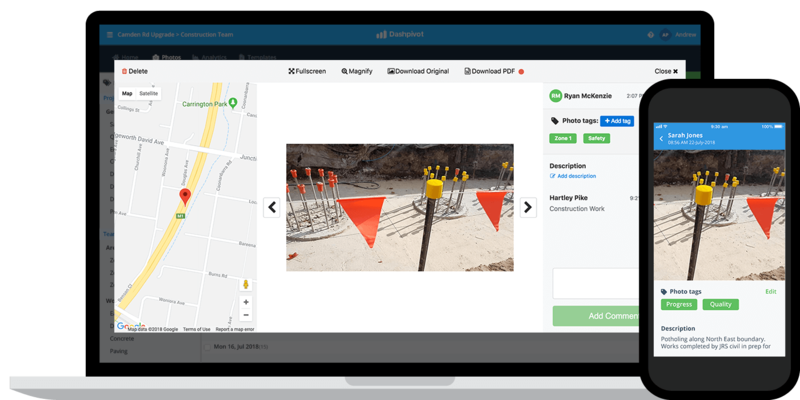 Take photos inside the Dashpivot app on your phone or tablet on site. 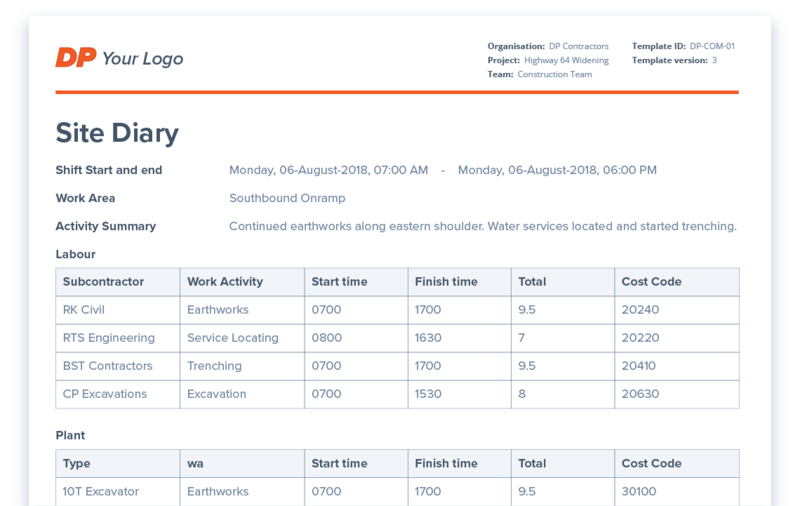 Organise your quality photos with smart tags, and have them automatically attached to your defect reports for easy traceability and more reliable record keeping. Automate the defect approval process so that work moves along quickly. Get the defect off your plate and onto the next person with a quick digital signature. Custom notifications ensure nothing gets missed, with the person responsible for signing off next getting an email and in-app notification. Need to notify external stakeholders or clients? Give them free restricted access so they can signoff but don't see what they are not suppossed to. 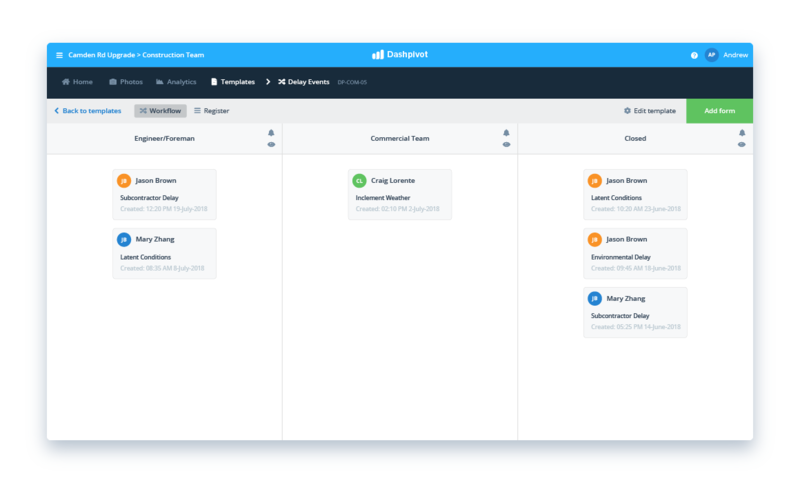 Focus on moving projects forward and let Dashpivot handle the rest. 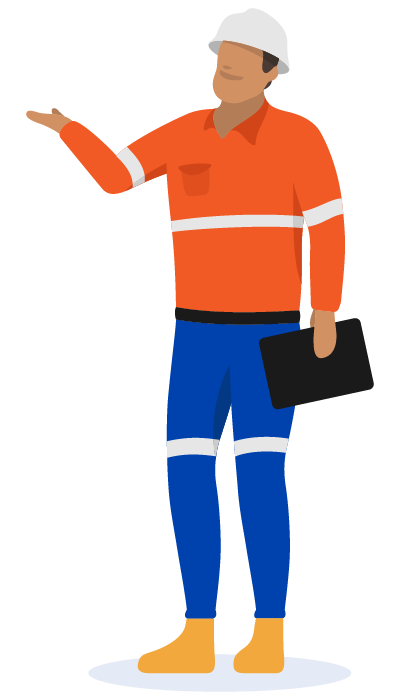 We have been able to digitise our HSEQ and commercial processes and engage with our clients and partners on the platform. It has improved the efficiency of our project delivery and allows our engineers to get back to doing what they should be doing: engineering. Need to get a defect report or workflow out of the software? Instantly print, download or send any document in the software as a perfectly formatted and branded CSV or PDF documents. All the benefits of paper-based forms, word and excel - with none of the hassle. 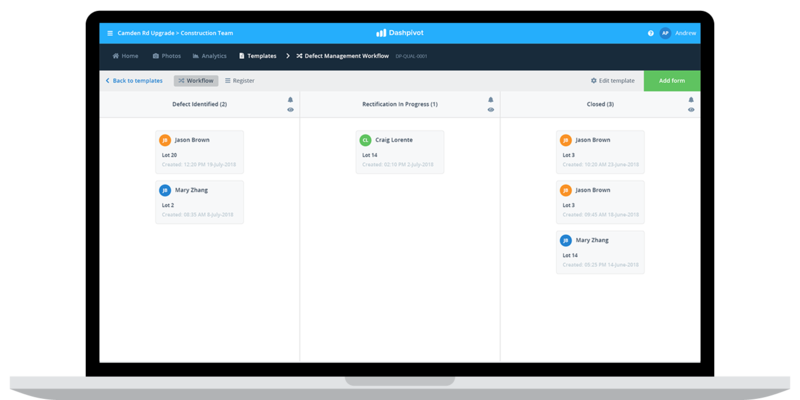 Try this better defect management software for free. Take your quality control and performance to the next level with even more powerful features and automation. 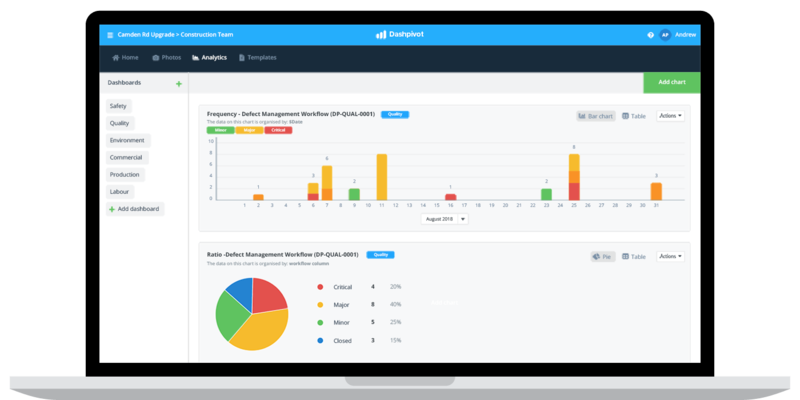 The Dashpivot app and software instantly aggregate and organise all of your defect form data, so you can create custom dashboards and automated charts which show you exactly what you want to see. Want to see how many defects you've had on a particular project? Setup a chart and the rest happens automatically. No more filling in or formatting spreadsheets. Instantly convert your defects into an excel like register. Know exactly where your defect reports are in the approval process and who's responsible for signing off. See a summary of all of your defect report forms in a register where you can filter and arrange defects. A complete quality management solution. Why stop at making your defect management process more efficient? 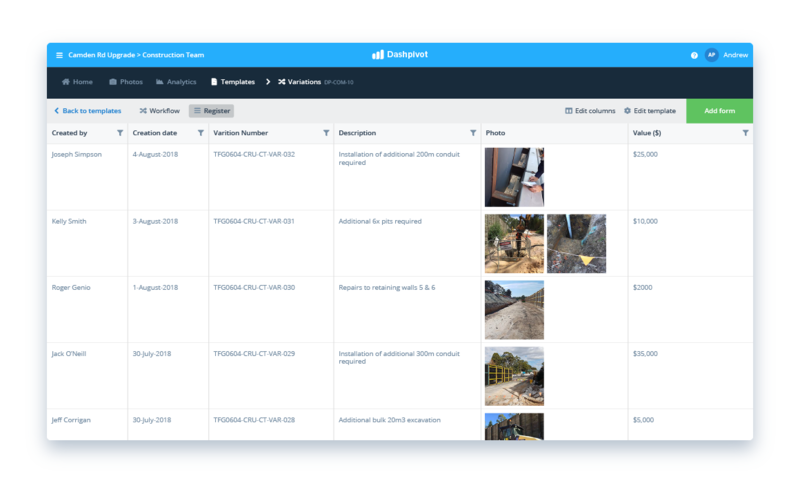 Simplify and consolidate more of your quality processes using Dashpivot for quality inspections, reports, hold points, witness points and more. 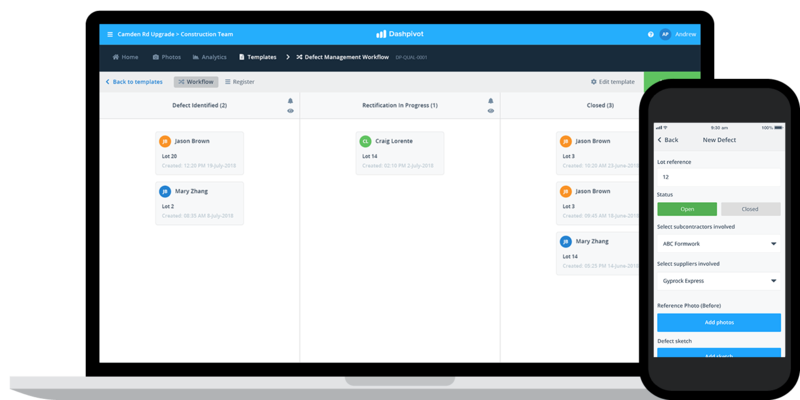 Start streamlining your defect management forms and workflows today.